Time to make coffee cups look cool save on insane use of paper cups and promote protecting tigers. Lookout for the tiger in your coffee at your next local cafe! 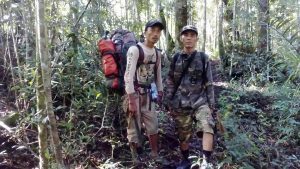 Haray Sam Munthe and Namanya Anto dedicate their time in researching and protection of the Sumatran tiger in North Sumatra Indonesia. We currently have 10 tiger camera traps set up in a undiscovered rain forest in North Sumatra. Our ongoing tiger conservation programs are always looking for support to help people like Haray and Anto continue their conservation efforts. Our website www.tigersangels.com offers people the opportunity to help support tiger conservation. 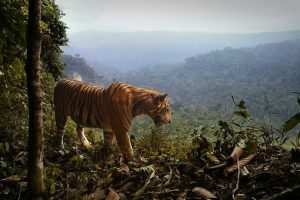 There are now believed to be only two viable populations of Sumatran tigers in the wild after a year-long survey found the tigers’ habitat is still being cleared for industries like palm oil. Scientists estimate that the number of critically endangered tigers remaining is down to 618 as of 2012, a reduction of more than 16 per cent on estimates since 2000. But critically, they say in a paper published in Nature Communications today, land clearing has fragmented many of those tigers into small, isolated groups that will not be able to survive long term. With only two of the groups containing more than 30 breeding females, the risk of extinction of the Sumatran tiger (Panthera tigris sumatrae) is greater than ever, said the study’s lead author Matthew Luskin. According to Dr Campbell, the conservation status of forests can be downgraded after they have been logged, giving industry a foothold to begin development. “It’s bigger, larger, richer companies coming in, and they’re often — I’m trying to put this politely — intricately linked with the local government officials who’ve approved those roads,” he said. Although the researchers found an overall decline in Sumatran tiger numbers, they were encouraged to find that tiger population density had increased in areas that remained untouched. “The results are a mixed bag for tigers,” Dr Luskin said.The World Wildlife Fund (WWF) publishes a yearly updated scorecard that rates companies’ use of palm oil. Whilst some retailers like Coles and Woolworths scored highly in 2017, a number of big brand names refused to share their data. 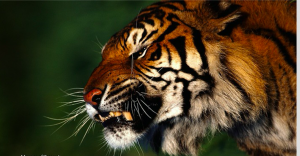 On March 12th an Indonesian man has been mauled to death by a Sumatran tiger in a remote village, authorities said Sunday, the second deadly attack this year. Yusri Effendi, 34, was found with fatal wounds to his neck by workmates and local villagers in Riau province on Sumatra island on Saturday evening, the local conservation agency said.The victim was working on a building to lure the edible-nest swiftlet in Tanjung Simpang village when the tiger began lurking around the construction site. Several hours after first seeing the big cat, Effendi and his three workmates — thinking the coast was clear — made a dash for safety, only to come face-to-face with the animal a short distance away.ffendi’s colleagues, who all survived the incident, told authorities they scattered to evade the animal, but the victim was not so lucky. A search party found the victim unconscious at the edge of a river a short time later, authorities said. “[When] they opened his clothes they saw a gaping wound on his neck,” the Riau conservation agency said in a statement. Human-animal conflicts are common across the vast Indonesian archipelago, especially in areas where the clearing of rainforest to make way for palm oil plantations is destroying animals’ habitats and bringing them into closer contact with people. Earlier this month, locals from Hatupangan village in North Sumatra disemboweled a Sumatran tiger and then hung the big cat from a ceiling after it attacked a pair of villagers. Sumatran tigers are considered critically endangered by protection group the International Union for Conservation of Nature, with 400 to 500 remaining in the wild. The Asian Tiger Military Snapback Hats For Sale. 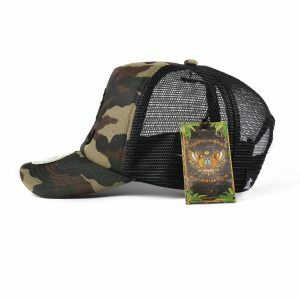 This hat has a black and green military print with an embroidered black Asian tiger symbol. Tigers are a symbol of protection and strength in most asian countries. Our designs are inspired by the Animal Kingdom with great detail and meaning. Each hat comes with a Japanese tiger symbol representing protection and a tiger paw representing the tigers presence. The hats also come with an endangered gold reflective seal. Enjoy your hat and wear it with pride. Wow after climbing through thick unexplored rainforests of North Sumatra. We managed to set up 9 wildlife camera traps to see if there were any Sumatran tigers roaming in this neck of the woods. The trekking through virgin unexplored areas that took over five days to explore was virtually only 1% of the forests total land mass area. This is considered hidden from the rest of the world. No mention of it in any Indonesian maps not even on google maps, in fact the area has no name, its a hidden rainforests with a big secret shhhhhhh until now ! Don’t tell anyone that we have evidence that one of the rarest and one of the most critically endangered species in the world had its first ever picture taken. The ever elusive, striking and very very rare Sumatran tiger walked straight past our camera trap at night, right where we had set up our camping tents only weeks earlier. No one in the world ever knew tigers existed in this area. Probably because the forest is hidden and its been that way for thousands of years. Only the local villages know the secrets of this forest. Its 10 hours drive from any major city and to get to the local town its 3 hours drive on a roads that would test any Jeep or Range Rover followed by a canoe ride upstream for 2 hours then 1 days trekking and thats to get to the forest. No wonder its hidden! We are thrilled to be sent this picture (thank you Haray local tiger ranger) as evidence that the Sumatran tiger lives and thrives in this part of the forests and we cant wait to see what the other cameras will reveal once we have gone back in and checked all of them.That will be another epic trip and lots of blood sweat and tears again. This rainforest has so much unexplored areas yet to be discovered and maybe its best we keep it that way. We are passionate about protecting these last bits of virgin habitat. Its so important for tigers to have a forest like this for them to survive as a species. Hopefully it stays this way, unexplored, as these I’m sure the tigers have enjoyed thousands of years of non human conflict and destruction of their forest they call home. 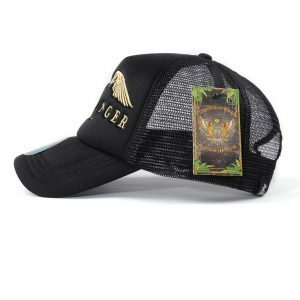 The Snapback Tiger Ranger Trucker Hat is our offical hat used by tiger rangers in the rainforest and on tiger expeditions. 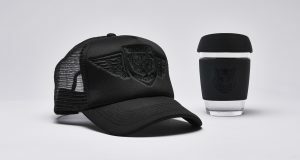 This particular hat is designed with the two tiger heads and two eagle wings in gold embroidery on black back ground. Our designs are always inspired by the animal kingdom with great detail and meaning. Each hat comes with a Japanese tiger symbol representing protection and a tiger paw representing the tigers presence. The hats also come with an endangered gold reflective seal. Enjoy your hat and wear it with pride. Tigers Angels is dedicated to protecting wild tigers in their habitat. 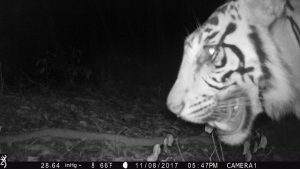 In September this year we purchased 10 wildlife camera traps, flew to a secret location where the Sumatran tiger is know to roam in North Sumatra Indonesia. Once we reached the outskirts of the rainforest we met our Tiger Ranger and local conservationist Haray Munthe who has spotted the elusive Sumatran tiger on a many occasions. Our six day expedition took place in one of Indonesia’s most unexplored rainforests, hidden from humans for thousands of years. In fact the government doesn’t know of its existence. 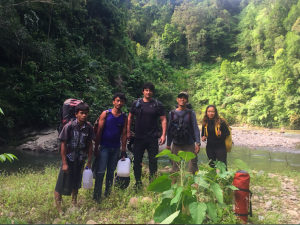 The team were very excited to be the first people to trek into virgin rainforest where tigers have lived for thousands of years. We set up all 10 wildlife camera traps throughout the expedition and will revisit the rainforest with Haray again in 2018. Here is a picture of our team of Tiger Rangers before they set of into the hidden rainforest. 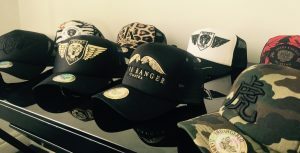 Wildlife brand Tigers Angels has thrown their hat in the ring, cool designer trucker hat snapbacks that is. Our brand has shifted its focus to more conservation projects and less fashion designs. We decided to aim at funding our own tiger conservation projects. That way we can be more involved in the forests with the tiger rangers, learning how to save and protect tigers from the ground up. Tiger conservation is a life long project. We all must do our part in helping rebuild our fragile natural habitats. The past 50 years we have have wiped out 90% of the tiger population and its going to take millions of people and a lot of time to restore our rainforest and repopulate our wildlife to sustainable numbers. Our snapback hats are very unique. We are one of the very few wildlife brands making designer hats for the fashion retail market. Our designs encompass all animals not just tigers. We need to shine a light on all wildlife animals that are fighting to survive. Tigers need other animals in their natural habitat to survive. You can support any of our wildlife projects by purchasing our products.